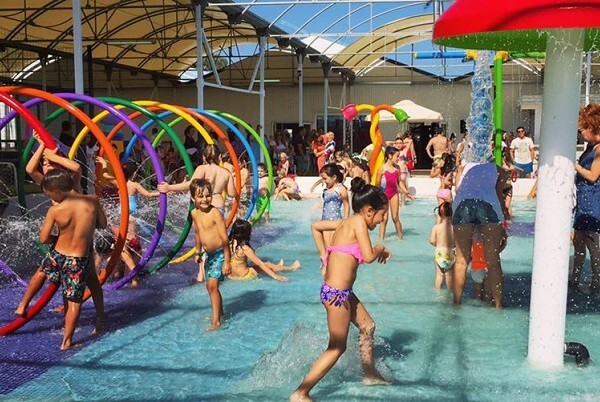 Spring, summer, autumn or winter – there’s always a school holiday just around the corner. 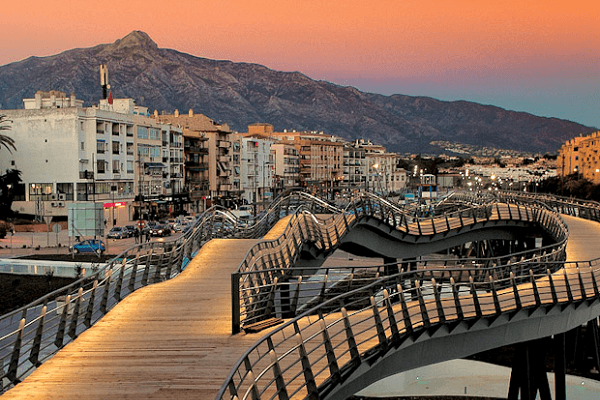 If you’re determined to spend it in a sun-soaked holiday hurrah then there’s nowhere better than the southern Spanish coast. It’s simply got the the whole package of great weather, gorgeous food and plenty of things with which to keep the whole brood occupied. There’s a mini kids’ course for 4 -7 year-olds and from 7 years, and up there are 83 challenges in the trees and 20 ziplines in total. You can challenge your family for up to 3 hours in Adventura Amazonia. Address: C/ Valeriano Rodríguez, 2, 29604, Marbella; Aventura-amazonia.com. There’s a restaurant and bar for children’s snacks and adult meals. With plenty of events planned for all ages it’s always worth checking out their website for specific dates. Mundo Mania is located within walking distance of some of our Los Flamingos villas, so for a family fun getaway please do ask us for availability! Feel the need for speed? If you’ve got an adrenaline junkie in your family then a buggy tour will be right up their street. Address: Camino de Montesol S/N, Rio Padron, 29680 Estepona; Marbellabuggys.com. More information: Calle Arturo Rubinstein, 3, 29602 Marbella, Málaga. Kidspamilkandroses.com. Address: Cabopino Beach, 29604 Marbella, Málaga. Marbella has a charming old quarter with cascading plant-filled streets, cobbled squares, shops and restaurants that’s great for a day when the appeal of the pool (eventually…) starts to tire. Have a meander around with an ice cream and visit the very beautiful Museum of Contemporary Spanish Engravings (Museo del Grabado Espanol Contemporaneo). More information: Calle Hospital Bazán, s/n, 29601 Marbella; MGEC.es. In Estepona there’s 1.9km of outdoor track where you can race go-karts to your heart’s delight. Children from 6 years old can drive, while younger children can be a passenger with a parent. Address: Salida 155 A-7. Junto a gasolinera GALP. 29680, Estepona; Kartfun.es. Address: Urbanización Hacienda Cortes, C/ El Almendral S/N, 29603, Marbella; Loscaireles.es. The Central Village – where the big African animals are – is the show-stopper. Be sure to book the Serengeti Safari where you get taken inside the enclosures in a customised jeep. Tivoli World in Benalmadena is a compact theme park, but with its many attractions and regular live shows it’s undoubtedly one of the best things to do on the Costa del Sol with kids. For the smallest members of the family, ‘Tivoliandia’ offers rides better suited for little ones. Costa Water Park can be found in various locations along the coast – Benalmadena, Fuengirola, Mijas Costa, Elviria, Marbella and Sotogrande. An inflatable assault course in the sea, it’s a lot of fun and one of the absolute best things to do with kids when the mercury starts to rise. Life jackets are given out as part of the ticket so there’s peace of mind. Open during the summer months only. This is a guided wolf tour – which is exactly as cool as it sounds. The wolves in Lobopark aren’t domesticated, so you get the unique experience of watching these amazing creatures ‘in the wild’. For families with older children there are Wolf Howl Nights tours, where on full moons the park does special tours to see (and hear) the wolves when they’re at their most active. There aren’t many walks in the world quite like the gravity-defying – and incredibly beautiful – Caminito del Rey in El Chorro. With a large part of the route clinging to the cliff edge above a gorge, it’s a spectacular way to spend a morning or afternoon… for those who aren’t afraid of heights, that is. While most of Malaga’s art galleries hold fun classes on the weekends for over 5 year olds, the Pompidou Centre in particular is very good at catering for children. Not only is it generally very child-friendly with a cafe, shop, toilet and changing facilities, but it has a room dedicated to pre-teens with all sorts of interactive activities built around learning about artists. More information: Pasaje Doctor Carrillo Casaux, s/n, 29016 Málaga. Centrepompidou-malaga.eu. More information: Puerto de Málaga, Muelle de Heredia, s/n, 29001 Málaga. Noriamiradorprincess.com. More information: Calle Alcazabilla, 2, 29012 Málaga. More information: Av. de José Ortega y Gasset, 201, 29006 Málaga. Musicaenaccion.com. In an old tobacco factory, this museum has a large collection of vintage and unusual cars, as well as fashion and art. Great for all ages, it’s a good option to please the whole family and break up the day. It’s not very big and can be visited easily in a couple of hours. Address: Museo Automóvil Malaga, Edificio de La Tabacalera, Avenida Sor Teresa Prat 15, Malaga; Museoautomovilmalaga.com. [post_content] => To step on San Sebastian’s hexagonal street tiles is to fall in love. This small city on the northern coast of Spain has something for everyone - a picturesque port and brownstone Belle Epoque buildings, three lovely beaches, and some of the best food in the world. San Sebastian was placed on the tourism map over a century ago by the Spanish Royal Family. The Regent Queen Maria Cristina favoured it as a summer getaway, and, as a result, it blossomed with Belle Epoque architecture and wealthy visitors from the beginning of the 20th century. Now, in the 21st century, the city calls itself home to a new kind of star: Michelin. San Sebastian is constantly at the top of the world's list of the most Michelin stars per person. The town’s bars, however, vie for hungry diners’ attention: their countertops are lined with pintxos, more elaborate versions of Spanish tapas, which originated in San Sebastian. In San Sebastian, food comes first. The pintxo is to San Sebastian what the Eiffel Tower is to Paris, so be sure to come hungry to best experience this city’s main attraction. Every other storefront in the Old Town of San Sebastián is a restaurant or pintxo bar, so enjoy hopping from bar to bar to try world-famous miniature bites. Each spot has a speciality: start off simple with a perfect white vinegar anchovy atop a slice of bread at Txepetxa (C/ de la Pescadería, 5). Move across the street for some molecular gastronomy-inspired bites at Zeruko (C/ de la Pescadería), where a favourite is a smoking piece of cod served with a parsley cream shooter. Then head to 31st August Street, which has an overwhelming culinary offering. By this time, you’re probably ready for some meat, so take your pick between Txuleta (Plaza de la Trinidad, 2) and Gandarias (31 de Agosto Kalea, 23), both well-known for their steak pintxos. Finish off your night of feasting at Atari Gastroteka (Calle Mayor, 18), which has an extensive dessert pintxo menu as well as picture-perfect examples of the town’s honorary digestif: a gin and tonic the size of a fishbowl. Top Tip: Eat pintxos like the locals: one pintxo and one drink per bar, then move on. You should pay on your way out the door, not before. In a city with 17 Michelin stars, one for every 10,000 inhabitants, tasting the constellation becomes a high-ranking item on the to-do list. Arzak Restaurant, which holds three of the 17, is the best spot to start a dive into the starred cuisine. Juan Mari Arzak took the restaurant over from his family more than 40 years ago, and quickly morphed it from a run-of-the-mill, if respected, traditional dining spot into a white tablecloth establishment intent on refining and pushing Basque cuisine to its limits. The tasting menu is ever changing, but features some perennial favourites such as the foie “cromlech”, a crunchy-creamy tribute to the ancient stone monuments found across the Basque Country. Most nights Juan Mari or his daughter Elena is out on the floor of the restaurant, greeting and chatting with diners. Top Tip: Ask to see the R&D laboratory. If you’re lucky, that will get you a tour through the bodega, where the chef makes his own sloe liquor, or patxaran, and also a peek into the room where all the dishes are created by a team of investigative chefs. The perfect place to take in the city’s beautiful views is atop Mount Igeldo, located on the west side of San Sebastian, rising up from the water at a steep, nearly 90-degree angle. Perfect for the sweeping views of the entire city, yes. But, as they say, it’s about the journey, not the destination, and Igeldo is no different. To reach the peak, the best option is a 107-year-old funicular, a picturesque cable car that drops you off at the viewing point. Continue walking and you’ll stumble upon another feature frozen in time: the amusement park. Both adults and children find this park impossibly charming; the rides have passed into vintage territory and riding the tiny roller coaster feels like hurtling back into the 1930s. On your way down from the theme park, don’t miss a stop at one of Europe’s top wine cellars. A small stone house about halfway down the mountain is home to Rekondo, a restaurant serving traditional Basque dishes in an elegant setting. Reserve a table on the terrace - if the weather permits - and be sure to leaf carefully through their 250-page wine menu. The beauty of dining at Rekondo is pairing each dish with a once-in-a-lifetime glass of wine, like a Rioja from 1964. Top Tip: The sommelier Martín will be on hand to help you choose between rare vintages, and if you catch him on a slow day, you can ask to see the wine cellar, which The Wall Street Journal called one of the top five in Europe. Untzi Museoa, San Sebastian’s naval museum, falls under that quirky category of tiny museum passion projects. Wandering through the port, it’s easy to stumble upon this building, which is stuffed to the brim with information on ships, Basque whalers, naval charts, art pieces and other valuables. Temporary exhibitions are often charming, super-specific looks at the Basque naval past. Top Tip: Entry is free on Thursdays. La Perla spa is a saviour on one of San Sebastian’s numerous rainy days. The spa and sports centre has an enviable location, in the centre of La Concha beach. The centre is outfitted with a state-of-the-art gym, with daily cardio and spin classes, as well as a massage area with an ample menu. The best part about La Perla, however, is the spa circuit. Sign up on a rainy day and enjoy the various circuit rooms, hydro massage pools, and saunas, some of them with views of La Concha bay. San Sebastian is a Belle Epoque city, and vestiges of its turn-of-the-century glamour remain. One of the best things to do in San Sebastian is stroll its pedestrian shopping district’s wide streets, window shopping until, inevitably, you are drawn into one of the posh boutiques. The Avenida de la Libertad is lined with big-box stores, but just off of it you will find lovely boutiques like Maje, a women’s fashion shop, or Ayestaran, a shoe shop with lots of history. Be sure to leave no street unstrolled, as some of the city’s gems are hiding away on less attractive side streets, like Loreak Mendian, a boutique with high-end modern Basque fashion. The basement of the one of the city’s most emblematic buildings used to house a spa; the pool was paved over a few years ago to make way for a luxury cooking school, further testament to the city’s culinary prowess. Mimo San Sebastian now offers unique culinary experiences every day, from a food tour ranked among the world’s top 10 to daily cooking experiences, classes that transition into wine-soaked lunches around its enormous wooden table. The classes are perfect for both kitchen aficionados and those just looking for things to do when it rains - the chefs are full of anecdotes about the local cuisine and you’ll likely leave with a few new pintxo-eating companions. Hours: Daily cooking classes, 10:30am. Basque art leans toward the manual: handicrafts and sculptures, made from durable, rugged elements such as wood and steel. Eduardo Chillida is the local art darling, and one of his most famous works is on permanent display - where else? - on the edge of the city, where ocean meets rocky cliff. Put into place in 1977, it features Chillida’s signature curved metal figures, dotting a terrace designed to capture the sea’s force as waves crash the shore. These impossibly heavy structures float in the air, literally “combing the wind”, as their name suggests. During high tide, holes in the ground become blowholes that direct a powerful burst of sea spray into the air - nature’s force made tangible. In the middle of La Concha bay, Santa Clara Island sits like a peacock preening its feathers, ready for a close-up whether for Instagram or a postcard. The island is small but dramatic, with steep cliffs with a picture-perfect white lighthouse on top. Santa Clara has never been inhabited, save as a quarantine centre briefly during times of the plague, but in summer it comes alive as a playground for beach-goers. You can reach the island any time of the year by swimming, and during summer a boat goes back and forth every half hour. Pack a picnic and set up on one of the stone tables, and enjoy the view of San Sebastian from the outside in. Buen Pastor is San Sebastian’s only true cathedral. In the very centre of town and surrounded by stores and bars, it makes for a nice sightseeing break in between shopping. The 1897 neo-Gothic structure has a 75-metre high spire, visible throughout the city, which is quite useful for orienting yourself. The cathedral is still in regular use by locals, but visitors can pop in to admire the work of architect Manuel de Echave, constructed with sandstone from the nearby Mount Igeldo. There are a couple of things easily lost in translation to visitors to San Sebastian. One of them is the official language: Basque. An ancient tongue unrelated to modern Romance and Latin languages, it is still widely spoken in the Basque Country and in San Sebastian. No one expects a visitor to be fluent; however, learning one word will get you a long way with locals. Try ‘kaixo’, pronounced KIGH-show. It means hello, and is a fine way to greet everyone from shopkeepers to bartenders. Choosing the right time to visit San Sebastian is far from an exact science. The locals’ favourite refrain in reference to weather is “there's a reason it’s green”: in one word, rain. The best months to visit are May and September for those who are seeking sunshine. Summer months are also usually sunny, although there always seems to be one month that gets bogged down by summer tempests. The end of September marks the San Sebastian International Film Festival, a fun, glitzy gathering of stars in one of Europe’s most important cinematic dates. For those unafraid of a bit of rain, the winter months hold some of the city’s most exciting festivals, such as San Sebastian Day (January 20), when locals dress up as cooks and soldiers, the famed dining societies are open to anyone, and the streets are filled with the sound of music and drums. Like our picks of what to see and do in San Sebastian? For more northern Spain travel inspiration, check out our guide to Santander.